The B6/B7-shape A4 is one of the most-popular VAG cars right now and, since early examples can be found very inexpensively around the world, it’s not hard to see why. Featuring muscular fenders and a decent amount of arch space for wider wheels it’s the perfect base for stance fans. The B6/B7-shape A4 is one of the most-popular VAG cars right now and, since early examples can be found very inexpensively around the world, it’s not hard to see why. Featuring muscular fenders and a decent amount of arch space for wider wheels it’s the perfect base for stance fans, especially when combined with a high-performance air suspension kit. The clue is in the name – Air Lift Performance suspension allows you to get the lowered look without compromising your car’s drivability. 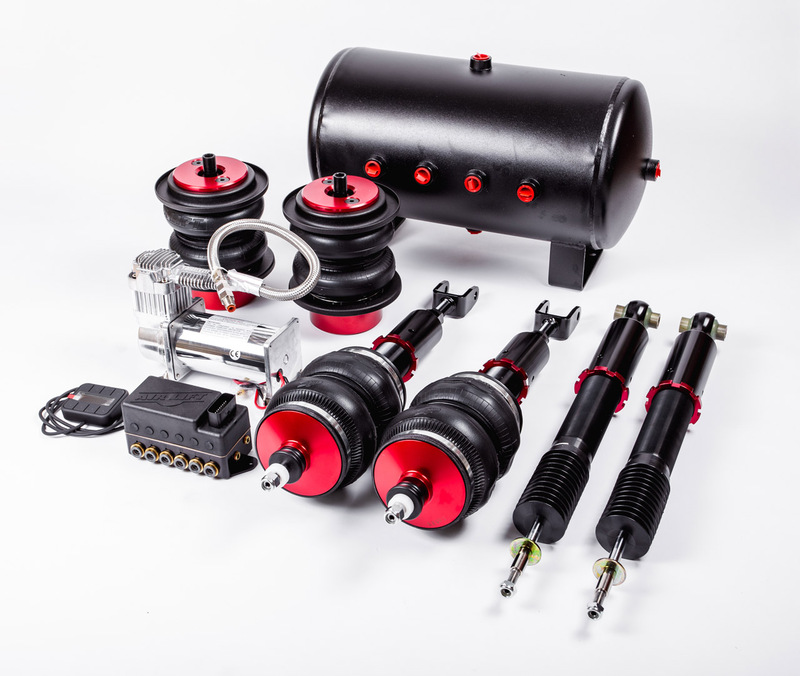 Featuring a 30-way monotube shock combined with double bellow bags our B6/B7 air suspension kit allows the damping to be adjusted for hard driving or bumpy road conditions. What’s more, Air Lift has tuned this set up on the racetrack – you may never intend to race your Audi but it’s good to know it can handle whatever the road throws down! Coilover suspension can’t compete with the versatility of air. Looking to clear a speedbump or driveway? At the push of a button you can raise your Audi to near stock ride height, roll gracefully over the obstacle, and settle back down to your original height! Up front the B6/B7 air suspension kit features double bellow bags over a 30-way adjustable threaded monotube shock. 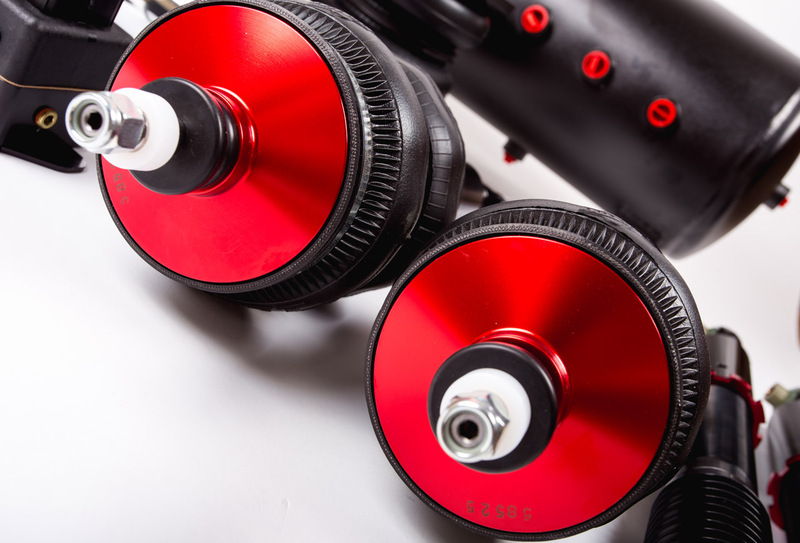 Our threaded body shock technology allows you to adjust the height of the lower mount to fine-tune the overall height of the car, while the 30-way damping allows you to setup your handling to suit any driving condition. In the rear a set of double bellow bags replace the factory coils allowing the rear wheels to tuck into the arch wells. 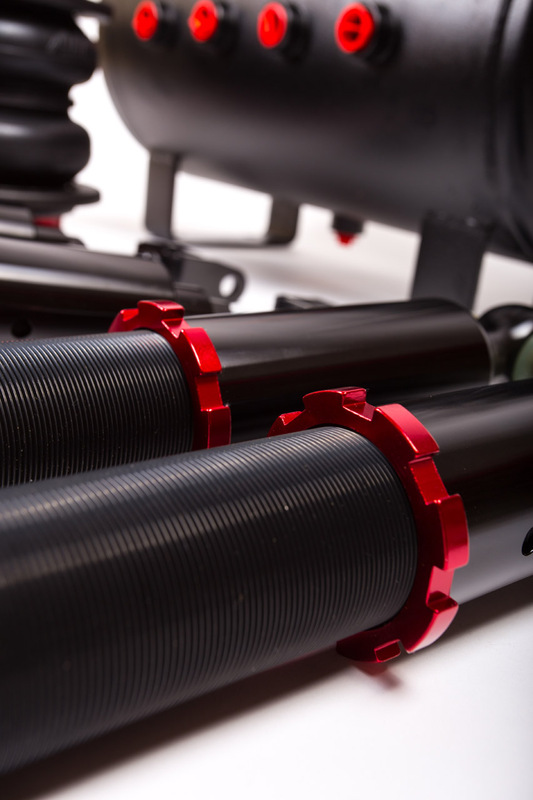 To compliment the performance-tuned front shocks, another set of 30-way monotube shocks are used allowing the same damping adjustment – not to mention a total drop of almost five inches! Fits all Audi B6/7 chassis vehicles 2002-2008.